The colors of Color Throwdown uses strawberries so I decided to make some strawberry cards with one of my older stamps from Waxfruit Company stamps. One card was colored with white flowers and cream card stock . the other with cream flowers and white card stock. Anyone for berries on shortcake? i know I’m ready hope the berries are too! The Less is More recipe this morning is is use a frame. This is one of my favorite images from wax fruit co stamps. it is one of from study of poppies images. The digital image is framed with a line,,,, i added the green frame. 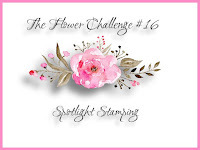 Once again cant get poppies off my mind, so I’m doing another Less is More one layer favorite flower challenge with the a wax fruit company study of poppies study stamp, using Color Throwdown challenge colors. It’s the day before valentines day so one more chance for a valentine or just friendly card, so on this beautiful southern California Saturday morning, I choose a wax fruit company digital hibiscus for the Less is More theme ‘include a stem’ one layer card. I hope the stem behind counts or maybe i can get away with just the stamen showing. This shady picture was taken on my hibiscus bush which has no flowers at the moment ( just leaves and leaf-stems.) I’ve this digi since the photo seems badly colored.